The trucking industry is about people. Not just the customers and communities we serve, but the truck drivers as well. 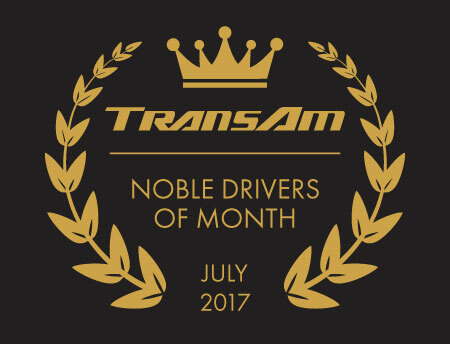 Each month we thank individual drivers who are exemplary examples of the industry. We are thankful they choose to be truck drivers and we are grateful they are employed by, or contracting with, TransAm Trucking. Thank you! Quavis Jones proves that new truck drivers can be just as passionate about the trucking industry as experienced drivers. This is what his Driver Manager, Randall Maynard, has to say about his experience with Quavis: “Quavis’s performance has been great with TransAm. He is always ready for the loads we have for him with no issues. His number one thing when he is behind the wheel is safety, if there is a problem he talks to dispatch immediately. […] I am lucky to have a driver like Quavis in my fleet. It is the people like him that make my job rewarding and enjoyable.” Thank you, Quavis, for your passion and dedication. Congratulations on being a finalist in Trucking’s Top Rookie of 2017 contest! Steven Poorman is not only a good driver, he is a good person. “Steven has always looked out for others,” says Nick Townsend, Steven’s Driver Manager. Recently, while at a Tyson plant in Amarillo, TX, Steven was flagged down by another driver (not associated with TransAm Trucking) to assist in an emergency. One of the yard dog drivers was having a seizure. Steven and the driver called 911 and stayed with the victim until emergency services arrived. “Steven is always thinking about doing the right thing. He is a very great driver and we are very lucky to have him part of our team.” We could not agree with Nick more. Thank you, Steven, for contracting with TransAm Trucking! Larry takes his role as a truck driver seriously. “He plans out all of his trips to make sure he is on time,” says Travis Johnson, Larry’s Driver Manager. “He is really nice. Always on time and communicates when there is a problem, and when there are no issues at all.” Communication is a big part of being a truck driver, because it ensures the driver receives the support he needs while over the road. Thank you, Larry, for everything you do. We enjoy having you on the team. Mentors offer mentees a first look at trucking’s over-the-road experience. We are thankful to Walter for being a part of this program because he goes above and beyond for his mentees. Darren Whiteside has this to say about Walter’s mentoring style: “Walter goes out of his way to show his mentees everything he can in the truck and with the shippers and receivers. Then he gives them full tours of each terminal, meeting people in each department they visit. Walter makes each mentee as comfortable and welcoming as possible.” Thank you, Walter, for what you do for your mentees. We appreciate having you in our Mentor program.